Are you looking for a great gift for your love ones during this upcoming holidays? I have a few ideas that you might be interested to give. I received a nice Ozeri Moderna's 4 Double-Wall Thermo Glasses in the UPS two days ago. When I received the product, the first thing that I could think of is this is the perfect present for a family and friend. I would say the packaging is very safe, though I received a huge box for a small box of product. Nevertheless, the items are more secure which is the great thing. I have 4 thermo glasses and I do find them indeed sturdy. 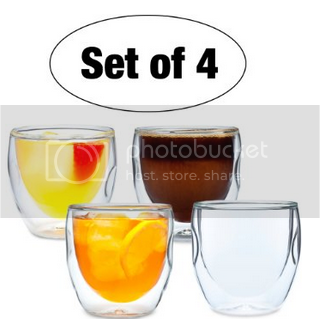 Perfect for a latte or shots, whichever you would like to use the glasses. And I would say also a perfect for holiday gift. The glasses are made of heat and shatter resistant, which also has a thumb-notched dimples for comfortable and easy gripping. I love the double-wall design which keeps hands cool with hot drinks. And a great thing you should also know that this is stronger and more durable than a common glass. The glasses I received can only hold 2 Fl Oz /0.06 L and is great for coffee, cappuccinos, hot or iced teas, cocktails, frozen beverages and so much more. A microwave safe, Freezer safe and oven safe too. Liked the product? You may find this on Amazon, set of 4 for only CND$29.95. 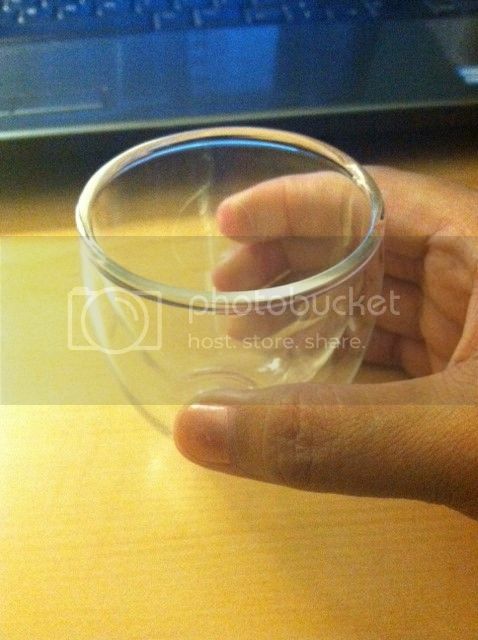 The glass looks thick and there's no "bumps". Is it really as smooth as I think it is? If so, then I guess that product is for me! This is perfect for my morning latte! I like the fact that it is a dual-wall. Nice glasses! I love that they are shatterproof because I can sometimes be a little clumsy. Thanks for sharing. I love these glasses although I prefer the tall ones. I hope I'd receive a set of those thermo glasses as gift this Christmas! I've been loving coffee these days, and those glasses are perfect for my early morning coffee. I wish I have 1 set of that thermo glass. Sa amazon lana talaga pwede i purchase?